Benke AC and Cushing CE (eds.) (2005) Rivers of North America. Amsterdam: Elsevier. Boon PJ, Davis BR, and Petts GE (eds.) (2000) Global Perspectives on River Conservation: Science, Policy, and Practice. Chinchester: Wiley. Dodds WK (2004) Freshwater Ecosystems: Concepts and Environmental Applications. San Diego: Academic Press. Drinan JE and Spellman FR (2001) Stream Ecology and Self Purification: An Introduction, 2nd edn. Landcaster, PA: Technomic. Hauer FR and Lamberti GA (eds.) (1996) Methods in Stream Ecology. San Diego: Academic Press. Junk WJ, Bayley PB, and Sparks RE (1989) The flood pulse concept in river flood plain systems. In: Dodge PP (ed.) Proceedings of the International Large River Symposium, Special Publication. Canadian Journal of Fisheries and Aquatic Sciences 106: 11 127. Kangas PC (2004) Ecological Engineering: Principals and Practice. Boca Raton, FL: Lewis. Leopold LB (1994) A View of the River. Cambridge: Harvard University Press. Mitsch WJ and Jorgensen SE (eds.) (2004) Ecological Engineering and Ecosystem Restoration. Hoboken, NJ: Wiley. Palmer MA, Bernhardt ES, Allan JD, et al. 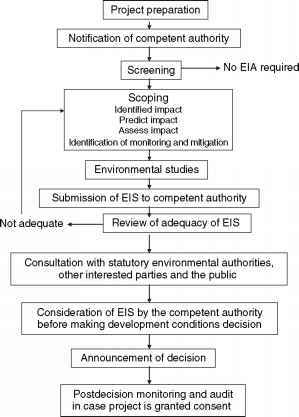 (2005) Standards for ecologically successful river restoration. Journal of Applied Ecology 42: 208 217. Schulze PC (ed.) (1996) Engineering with Ecological Constraints. Washington, DC: National Academy Press. Vannote RL, Minshall GW, Cummins KW, Sedell JR, and Cushing CE (1980) The river continuum concept. Canadian Journal of Fisheries and Aquatic Sciences 37:130 137. Ward AD and Trimbal SW (2004) Environmental Hydrology, 2nd edn. Boca Raton, FL: Lewis. Wetzel RG (2001) Limnology: Lake and River Ecosystems, 3rd edn. San Diego: Academic Press. Wissmar RC and Bissan RA (eds.) (2003) Strategies for Restoring Ecosystems. Bethesda, MD: American Fisheries Society.